No excuse really, other than whenever my conscience has told me to sit down and update the blog there always seems to have been a valid reason/excuse for not doing so. Its not as though we’ve been sat at home twiddling our thumbs without having lots to report – such as buying (another) Triumph, a fun trip to Belgium (not a phrase that would readily spring to mind), an enjoyable reunion with old friends and a few days camping on the South Coast, to name but a few. Anyway, with that confession out of the way I can now hopefully get back to reporting the odd short snapshot of Ewbank life as and when interesting things happen that liven up our otherwise bleak and empty lives…………….. 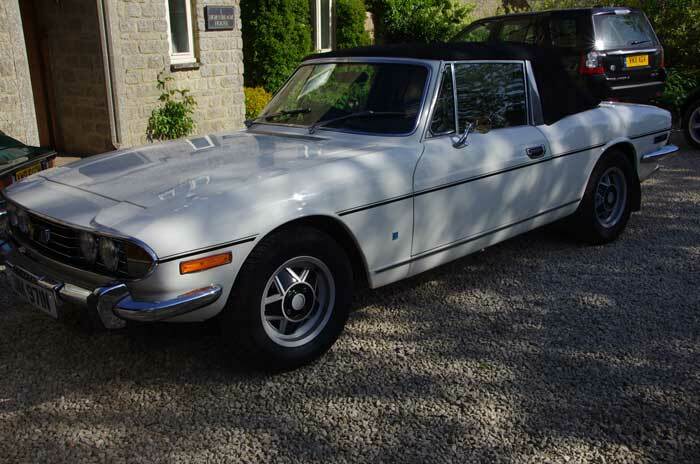 The latest addition to the motoring stable is a 1975 Triumph Stag bought at auction back in May. With the rebuild of the GT6 more or less complete it started to dawn on me that, lovely little car though it may be, driving the tiny Triumph for longer distances was going to be a less than comfortable experience – the fact that I need a Stannah Stairlift to extract myself from the driver’s seat says it all. 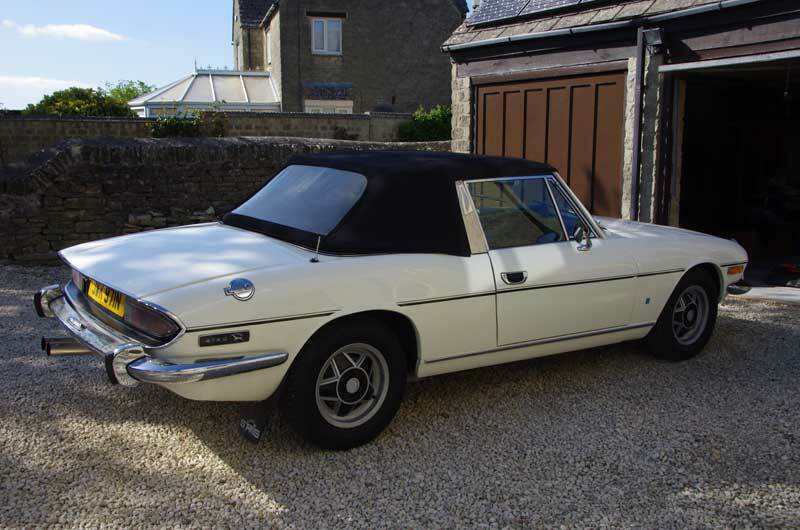 Despite their early reputation of abysmal reliability I’ve always liked the lines of the Michelotti designed Stag, and the noise of that Triumph V8 is just wonderful – so when three cars came up for auction at Brightwells back in May I decided to take a look. Examining the three offerings was like a scene out of Goldilocks and the Three Bears: one was a complete wreck and would obviously take years to restore, the next was low mileage and therefore likely to be expensive …… and the last, it seemed to me, was ‘just right’. The rest, as they say, is history; six days later the car was sat on the drive at home with a brand new MOT and ready for some serious tinkering. Previous PostNuremberg with Richard and ColetteNext PostBertie – the Dependable Austin!